How is your weather?steemCreated with Sketch. 6C and pouring rain here. While Beijing’s Forbidden City may be a magical place to visit when it snows, the Great Wall is more of a mixed bag. Sure the views are potentially even more stunning, but there are some issues with traction. 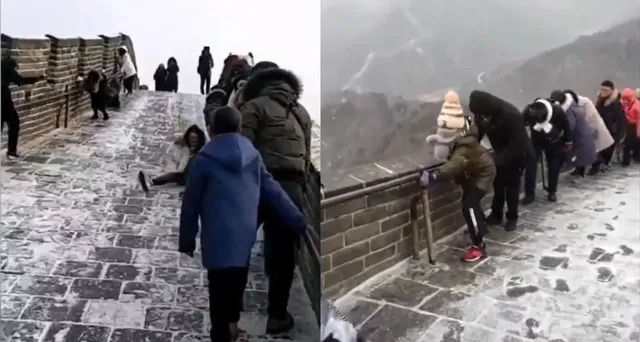 Video has gone viral on Chinese social media showing tourists on Tuesday either walking slowly, carefully, deliberately up the wall while holding onto handrails and each other, or slipping and sliding down the wall after losing their footing on the icy stones.